Total run time: 1 hour 6 mins 10 secs. 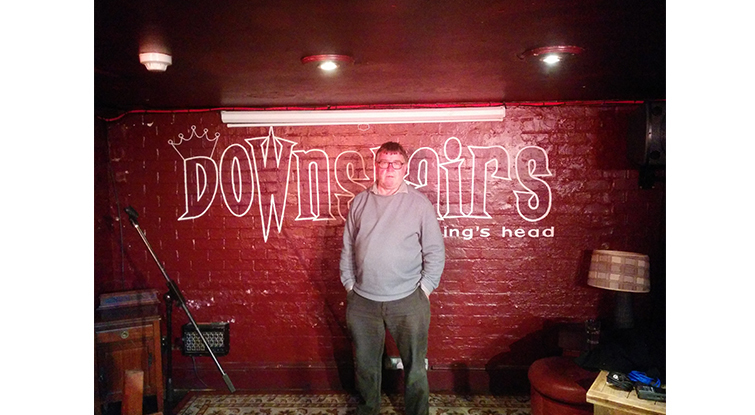 Peter Walsingham founded Downstairs at the King’s Head om 1981 and has continued to put on one of the best and most well known comedy nights in London. Showcasing a selection of acts including comedians, sketch acts, musicians and more. In this exclusive interview we talk about why he began the club and how it has managed to stand the test of time against promoters and chain clubs. He still runs the club in the same venue over 20 years after its inception in Crouch End. What advice would you have to someone trying to build a night like yours? Sean Walsh – went to Heriford. Don Ward at the Comedy Store. Why are you so organised? AKA The 5 apps I couldn’t live without.